Have a Show? or want to Sponsor or Advertise with us? Seating at 7:00 pm, 800 pm showtime / NO COVER / 21+! Web & Graphics by: The 5150 Media Group Inc.
Join us for the @SanDiegoComedyLeague Easter Division Season Opener at #GoosGuysTavern in Lemon Grove! hosted by @el_benjigarcia ! With @patrickdcomedy headlining during ballot count! NO COVER / 21+ / PLENTY OF BEER, LAUGHS and GOOD TIMES! Want to sign up? Email SanDiegoComedyShows@Gmail.com #GoodGuysTavern 7340 Broadway, Lemon Grove CA 91945 Right off 94 freeway and Massachusetts! #DiverseCityComedyShows is proud to feature and highlight the BEST minority comics in Southern California and wherever we can find them. San Diego's only show featuring exclusively minority comics and humor, with low or "no cover" shows while still being able to enjoy San Diego's premiere comedy venue, the Comedy Palace. On Thursday, May 23rd, 8:00 pm, in #theComedyPalace Main Room, we are excited to feature San Diego's own headliner @BigFrog619! A semi-finalist in 2019 San Diego's Funniest Person Contest, Big Frog KNOWS San Diego, knows Ghetto and know FUNNY. Host and Line up To be announced. Join us on our premier night. 25 FREE tickets are available on the first-come-first-serve basis, where those that RSVP must check in by 7:30 pm on show day or lose the reservations. We also have 25 $5 early-presale tickets that guarantee you a non-booth seat. We also have $10 Pre-sale VIP booth Seats (go up to $15 day of). This event is for comedy fans 18+ and has a 2 item minimum requirement. There is plenty of free parking and local bus routes nearby. any and all question can go to DiverseCityComedyShows@Gmail.com. Diverse Comedy Shows is a brand of @UpComedyShow Productions. #UPCOMINGSHOWS #APRIL #420comedy #PotComics .............................................. On Saturday, April 20th, Join the @FinestTattoo619 Staff and enjoy a day of 420 festivities, Art, Music, Entertainment, tattoos and people! Enjoy national touring comedians and Killer Finest Tattoo Artists. Co-Hosted by #ThePeoplesComedian @el_benjigarcia & @_mikeyperry Visit https://finesttattooparlor.com to make an appointment and submit art. ADDRESS: 4239 University Avenue, San Diego, Ca 92015 Doors open 12:00 pm, 7:30 comedy showtime. ►21 and over show◄ . ►NO COVER,◄ ►Appointments MUST CONFIRM ARTIST VIA INSTAGRAM DM.◄ ( QUESTIONS EMAIL: UpComedyShows@Gmail.com to reserve your VIP seats). There is a free parking, wi-fi and food vendors on site or BYOF/BOYB! 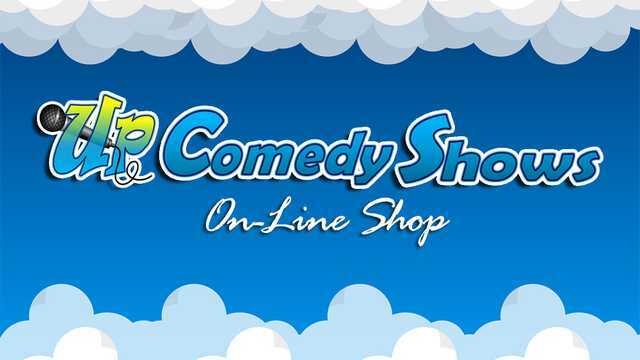 Visit the Up Comedy Shows Online Shop!